SPORTS Minister, Chishimba Kambwili has revoked the five-year ban slapped on the Zambia Volleyball Association (ZAVA) executive committee by the Sports Council of Zambia (SCZ). Kambwili said the ministry decided to lift the ban after thoroughly studying the procedure and documentation surrounding the ZAVA case. “I wish to advise the public and the international community that with the powers vested in my office as Minister of Youth and Sport, I have lifted the ban that was meted out on the executive committee of Zambia Volleyball Association from participating in all sport activities,” he said during a Press briefing in Luanshya yesterday. Kambwili said investigations revealed that the SCZ’s legal and disciplinary committee did not follow the proper procedure when meting out the punishment in line with the rules and regulations of the SCZ Act 29 of 1988 Cap 142 of the laws of Zambia. He said from the study of the SCZ Act which was quoted in the disciplinary action against Gabriel Muyinda’s ZAVA executive, it was clear the Act was misquoted and ill used. Kambwili, who was flanked by his Permanent Secretary, Agnes Musunga and other senior officials from the ministry, said as Sports Minister, he would not support such misgivings in the manner sport affairs in Zambia were managed. “From the study of the Sports Council of Zambia Act 29, Cap 142, Section 10, sub-sections three to six which were quoted in the disciplinary action against the executive committee (ZAVA). It is clear that the Act was misquoted and ill used and as Minister of Youth and Sport, I shall not support such misgivings in the manner in which we Shall manage the affairs of sport in this nation,” he said. The minister said the SCZ Act also clearly outlined that if an association was found wanting, the SCZ board was required at a full council meeting to constitute a committee to investigate the matter. Kambwili said the constituted committee needed to make recommendations of the disciplinary action for consideration at a full SCZ council meeting. He also noted that the report of a special SCZ council meeting on the collective decision made to suspend an association or officer bearer should be then submitted to his office for approval before any sanctions could implemented. This important procedure, Kambwili said, was not followed and that no written report was submitted to his office for approval. He urged the SCZ board to always adhere, comply and thoroughly interpret the provisions of the Act. Kambwili also observed that the SCZ legal and disciplinary committee never took into consideration the provisions outlined in the Bank of Zambia through the National Payment Act of 2007, Article 33, on what happens to an institution or individual that bounces a cheque. He, however, said he does not support the behaviour of ZAVA where the association issued a cheque without first verifying their account balances. 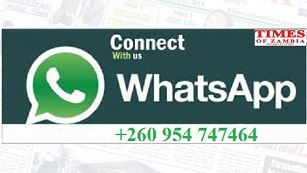 Kambwili said verifying the account balances was an important step for any organisation or individual to undertake before issuing a cheque to a client. He warned ZAVA against such neglegent behaviour in the way they conducted their business, saying the ministry would not tolerate such behaviour from any sport association. 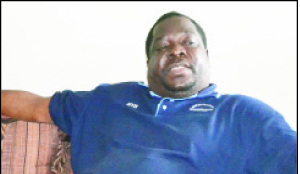 Despite early bouncing a cheque, Kambwili said, ZAVA had since cleared their K48,600 debt owed to Kalingalinga Youth Resource Centre who provided food during the regional Zone Six Championships in Lusaka last year. Kambwili urged SCZ not to relent in their efforts to bring sanity in the sports fraternity and also emphasised the need to stick to the prevailing laws and regulations in the Act. ZAVA had appealed against the five-year ban for allegedly flouting some financial regulations by bouncing a cheque meant to clear the debt accrued through meals the Kalingalinga Youth Resource Centre provided to the volleyballers.